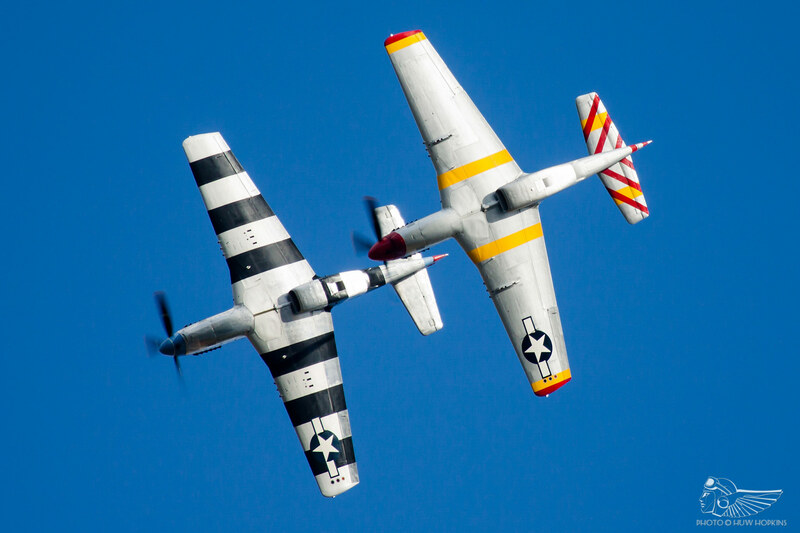 One of the headline acts at the 25th Flying Legends airshow will be the return of the US-based Bremont Horsemen Flight Team, displaying this year with three P-51D Mustangs. Amongst them is the débuting P-51D Frenesi, which is being brought to Duxford specially for the event. 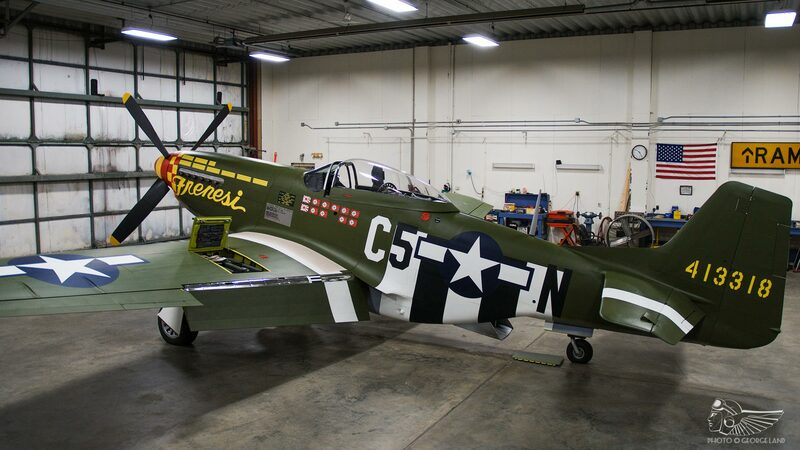 The Mustang wears the markings of a 357th Fighter Group P-51D flown by Lt Col Thomas L. Hayes, Jr in the European theatre during the latter years of the Second World War. The airframe was manufactured by North American as an F-6K model, sold into civilian ownership postwar and flown in the 1946 Cleveland Air Races with the moniker Full House, during which the aircraft suffered an engine failure and belly landed. After a further period of civilian ownership, the Mustang was sold to the Dominican Air Force in 1954, with whom it served until it was recovered to the USA in June 1984. Several years of inactivity followed, after which the Mustang was acquired in summer 1990 by Jim Beasley Snr., eventually passing to his son, Jim Beasley Jr. (a former Horsemen pilot). 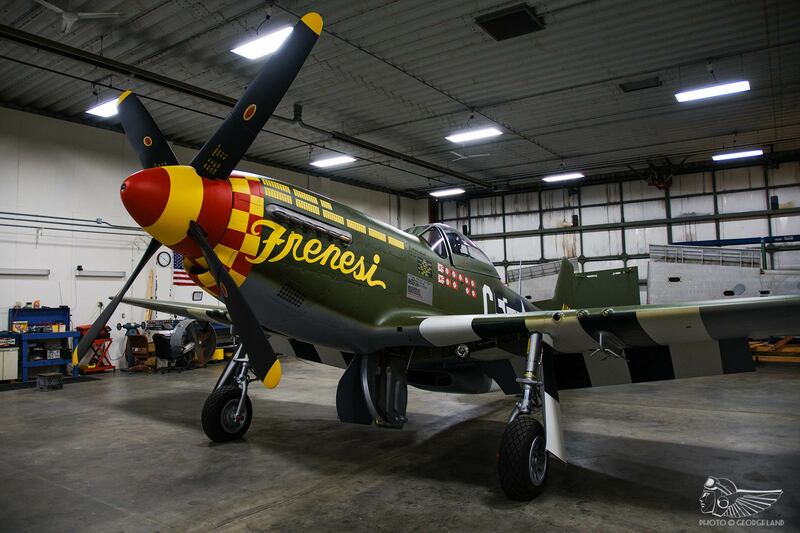 The aircraft underwent an extensive rebuild from 2005 and was sold to Dan Friedkin in 2009, who facilitated the completion of the project by Midwest Aero Restorations at Danville, IL. Mustang N357FG, now in its Frenesi markings (pronounced ‘free ‘n’ easy’ and so named after a popular 1940s song), flew again on 30 January 2017 and will soon be shipped to the UK for reassembly at Duxford, in time to participate in the Flying Legends airshow. Alongside Frenesi in the Horsemen trio will be another Comanche warbird – P-51B Berlin Express also resplendent in 357th FG markings and being flown across from America to the show – as well as RAF 112 Squadron-marked P-51D KH774 ‘GA-S’ (colloquially known as ‘The Shark’), operated by the Norwegian Spitfire Foundation. ‘The Shark’ has appeared at many ‘Legends since the first event in 1993, and was well-known for its previous guise of Old Crow, Clarence ‘Bud’ Anderson’s famous 357th Fighter Group mount. 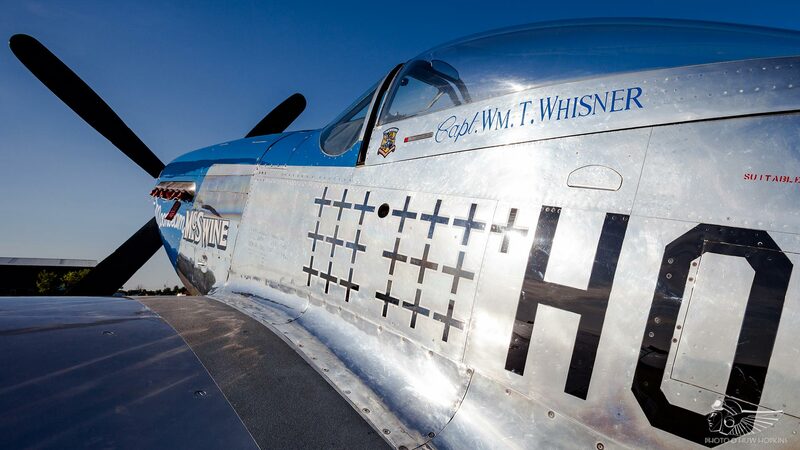 Leading the Horsemen is vastly experienced aviator Steve Hinton, a veteran of the airshow scene with almost 40 years’ air display experience behind him and more than 150 types and an astonishing 7,000+ warbird hours in his log book. Steve was a regular at the Classic Fighter airshows that predated Flying Legends, and has flown at every ‘Legends with the exception of 2000 (which coincided with Steve’s involvement in the filming of Michael Bay’s Pearl Harbor), and he can often be found flying the latest high-profile restoration, import or acquisition on display at the show.  Historically, this has included such eclectic types as the P-26 Peashooter, A-36 Apache, P-51C/D Mustang, P-39 Airacobra, P-63 Kingcobra, Grummans F3F, Wildcat, Bearcat and Tigercat, Sea Fury T.20, Curtiss P-36C, H75, P-40C and P-40F, and various Spitfires. In a pleasing continuation of this tradition, his son, Steve Hinton, Jr, has become a Flying Legends regular in recent years. On the left wing is Ed Shipley, one of the founders of the Horsemen and another longstanding Flying Legends supporter. 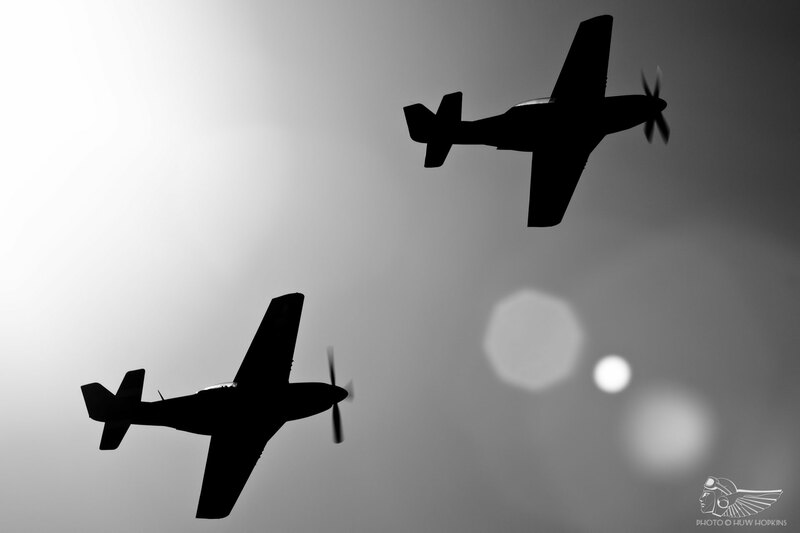 Having broken into the air display scene more than 20 years ago with the Six of Diamonds T-6 Texan aerobatic team, Ed has flown a raft of vintage aeroplanes including the Spitfire, Mustang, Corsair, Bearcat and Sabre. 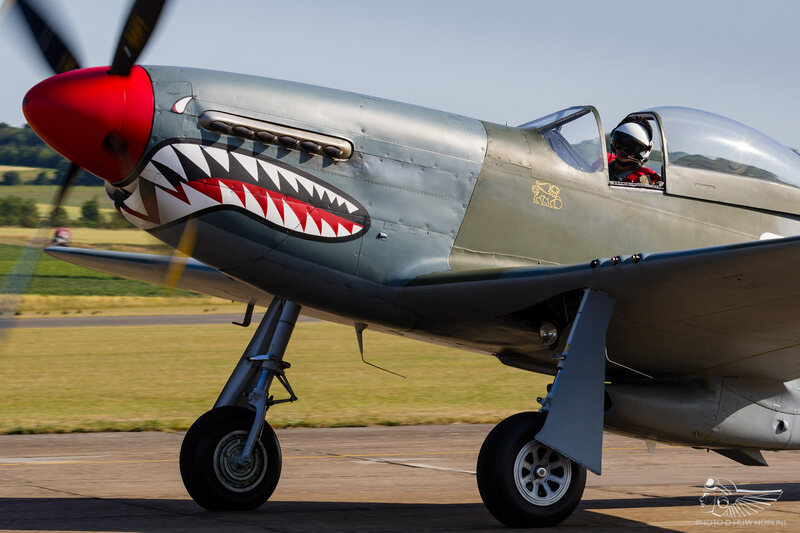 Ed first appeared at Duxford in 2000, flying a close-formation aerobatic Mustang display alongside Lee Proudfoot at the September Battle of Britain Air Show. He has been a regular Flying Legends attendee since, typically flying various P-51 Mustangs including Dutch-based Damn Yankee in 2002 and a chequered cowled TF-51 imported to the UK for ‘Legends 2003 (flying alongside two other Mustangs and a P-47 in a tribute to the 78th Fighter Group). 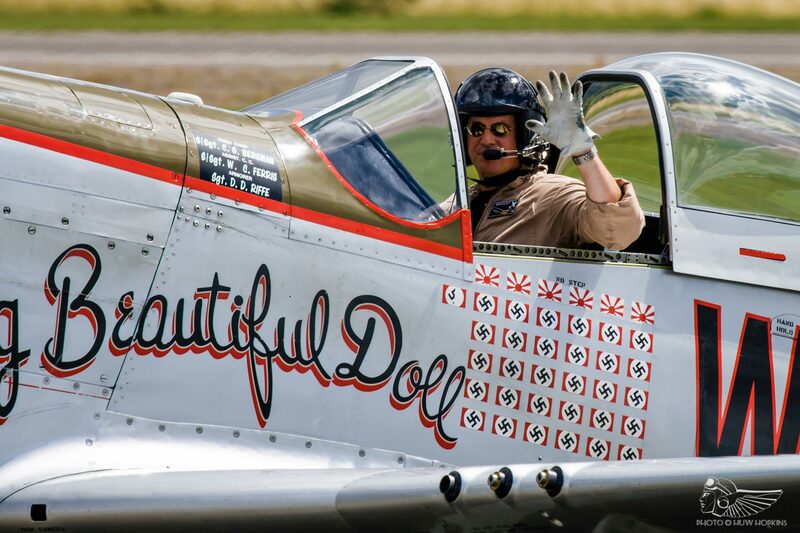 In 2007, Ed flew the ex-TFC TF-51D Mustang Miss Velma across the Atlantic to head the billing at that year’s Flying Legends. The following year the aircraft took a starring role once more as it flew, in Ed’s hands, alongside B-17 Flying Fortresses Liberty Belle (itself a transatlantic visitor) and Pink Lady , and the Old Flying Machine Company’s P-51D Ferocious Frankie, in a typically stirring one-off ‘Legends sequence. 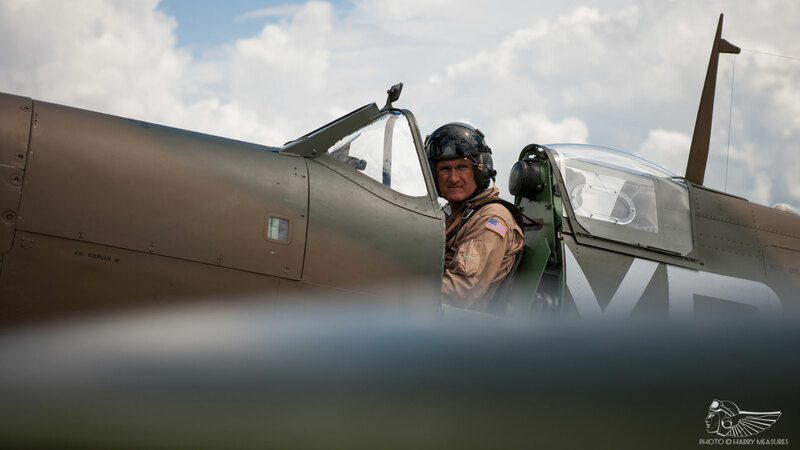 Flying in the right wing position is Dan Friedkin, another aviator with decades of historic aircraft experience flying the likes of the Hurricane, Spitfire, Corsair, Hellcat, Bearcat and Lightning. 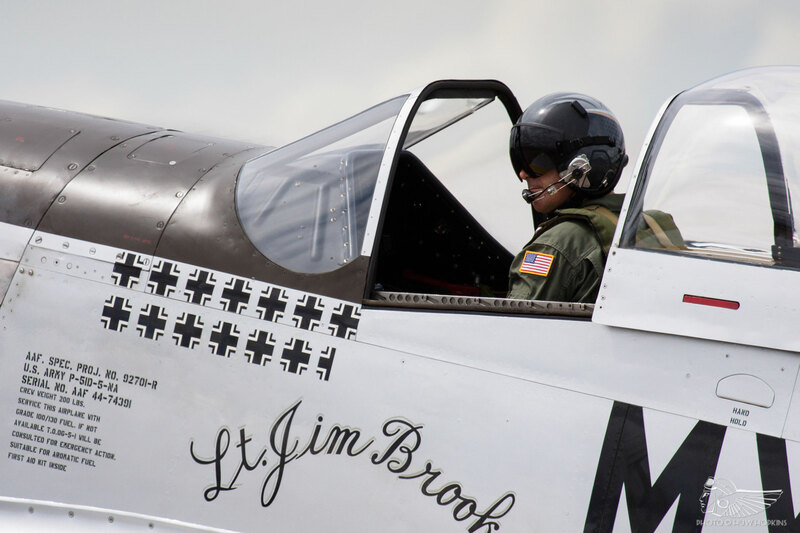 He made his Flying Legends début in 2009, flying alongside Jim Beasley and Ed Shipley in the Horsemen Mustang trio, and has since flown at the 2011 and 2013 events. Dan has also visited Duxford to fly at non-‘Legends airshows, including the commemorative Battle of Britain Air Show 2015 where he and Paul Bonhomme put on a lyrical formation aerobatic routine in the two Comanche Warbirds LLC Spitfire Mk.Is that was one of the UK air display highlights of that year. All three Horsemen pilots also participated in 2013’s unique Eagle Squadron tribute, flying the P-47G Thunderbolt Snafu, P-51C Mustang Princess Elizabeth and Spitfire Mk.I AR213 respectively during Duxford’s May Air Show and the following day’s extended tour of East Anglian Second World War USAAF air bases. 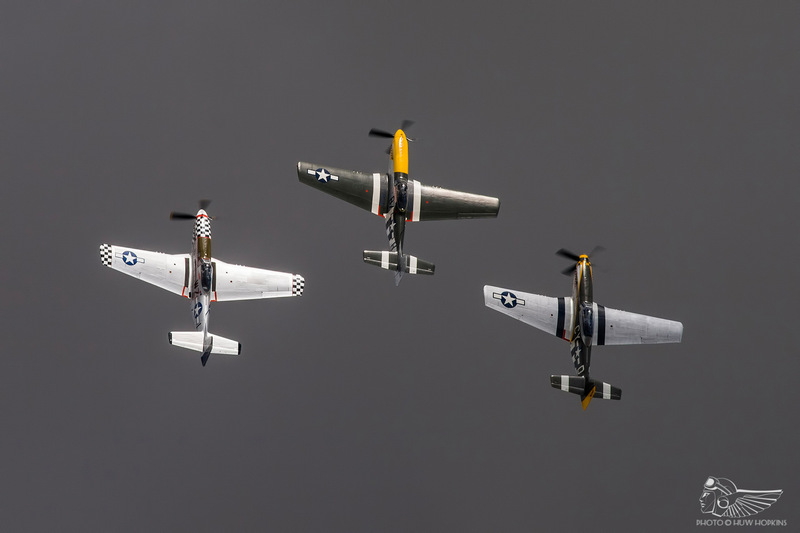 Whilst famous for their traditional P-51 Mustang trio, the Horsemen have displayed with numerous combinations of aeroplanes over the years including P-38 Lightning and two Mustangs, three F-86 Sabres, three Bearcats, and a Corsair and two Bearcats. UK audiences will recall the Horsemen’s three previous displays at Flying Legends, whereby they appeared in three Mustangs (2009, with Big Beautiful Doll, Miss Velma and Ferocious Frankie), two imported American Mustangs (2011, Fragile but Agile and February) and three Spitfires (2013, comprising Mk.V EP120 and Mk.Is AR213 and X4650). 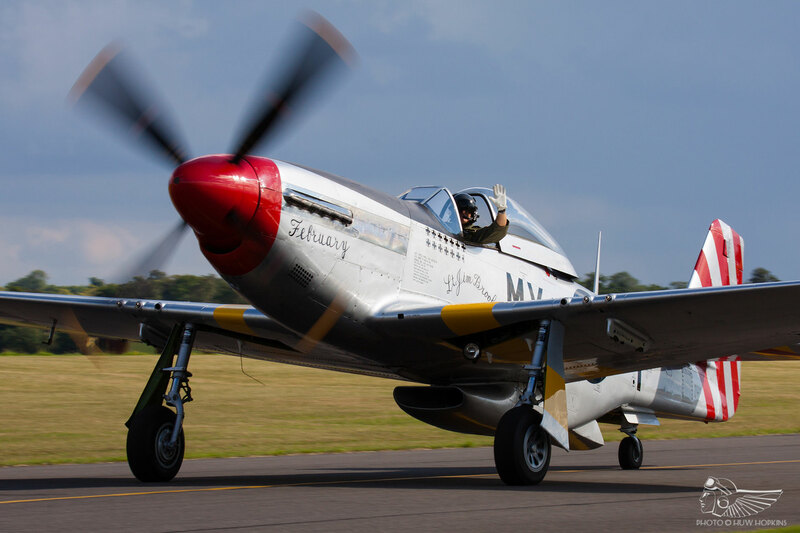 Prior to that, Flying Legends had seen unofficial Horsemen style Mustang pairs routines flown by Messrs Beasley and Shipley in 2005 and 2007, and Messrs Nick Grey and Shipley in 2006. We look forward to welcoming them to UK shores once more. 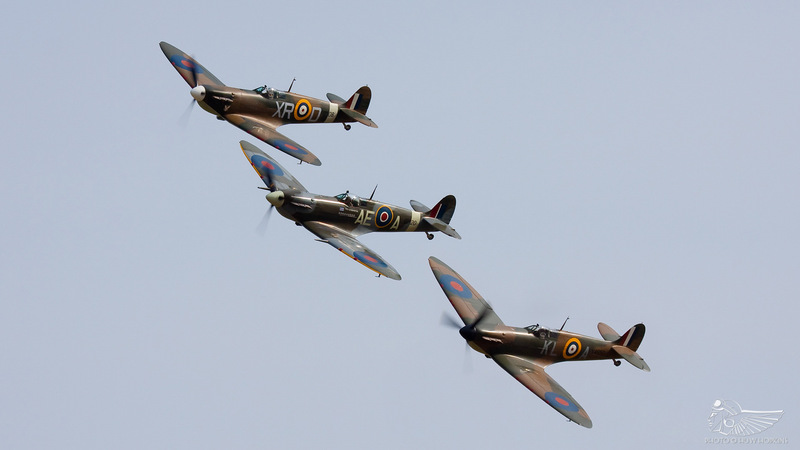 Flying Legends takes place on 8th & 9th July at IWM Duxford. Tickets can be purchased here. With thanks to George Land and Midwest Aero.